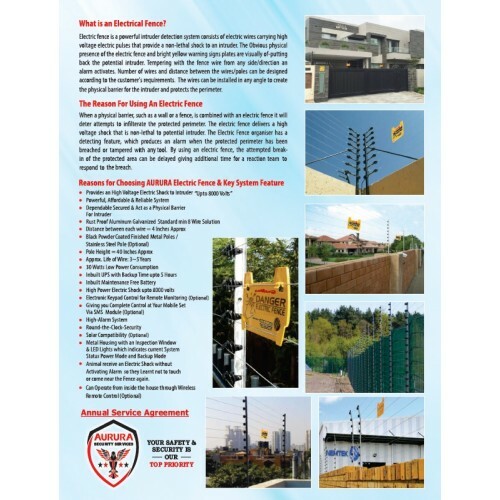 Nemtek, a pioneer in its field, has become the benchmark for the security electric fencing industry. 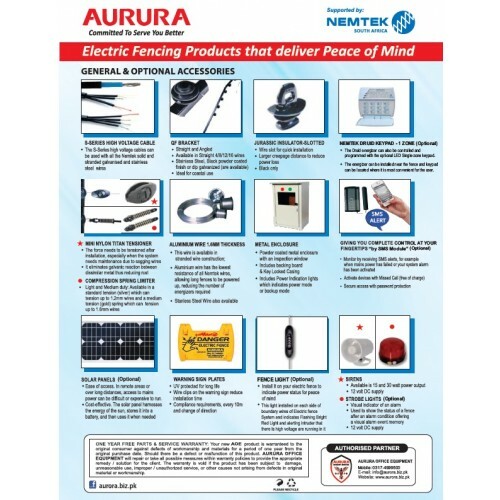 The Nemtek group manufactures a full range of energizers and fencing hardware and has become a globally known and respected company. Nemtek products have become a household name and are now being specified by many governments, local authorities and industries as the product of choice to protect their utilities, correctional facilities and defence infrastructures. This has been achieved by Nemtek's continuous innovation, fast response to the changing dynamics experienced in the security field, the reliability of their products and the continuous support and close working relationship with their clients. 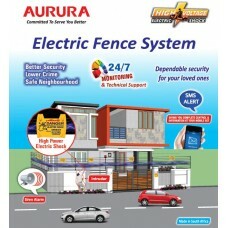 Electric Fencing provides 24 hour monitor on the perimeter. It will go to an alarm if someone touch or cut the wire to enter in your premises. The energizer used for this purpose that it will not allow anyone to be killed as the unit is designed to allow the power to pulsate on/off on a continue basis. 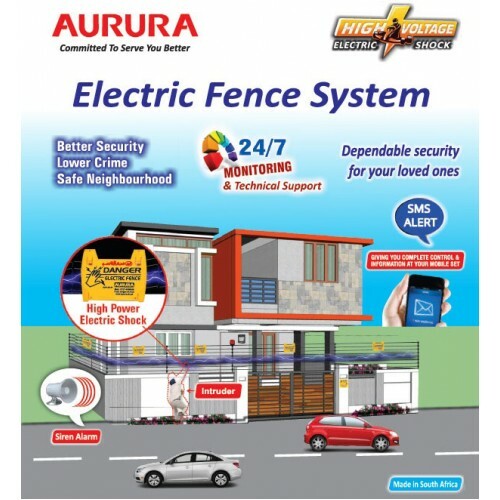 Therefore unlike your power in the house (where the possibility exists that you could die if experiencing a shock), the electric fence power switches on and off momentarily and therefore is termed a non-lethal electric. Black Finish Straight Poles with 8 Electric-Power Wires. 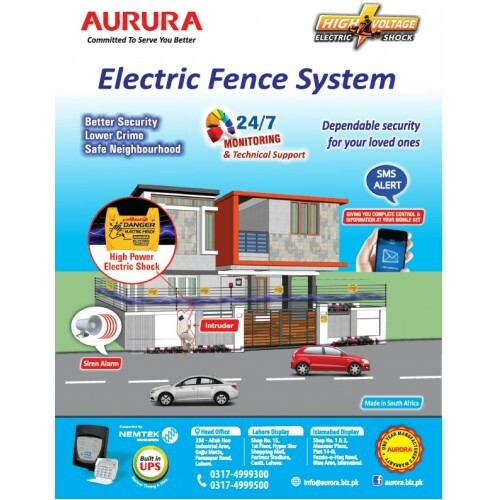 DSC Monitoring Module Integerated with Energizer Only @ Rs 15000.0 three month free Monitoring & response force in Lahore DHA Only..
DSC Wireless Alarm System with 2 Door Sensor integerated with Energizer @ Rs 20000.0 Including three month free Monitoring & response force in Lahore DHA Only. 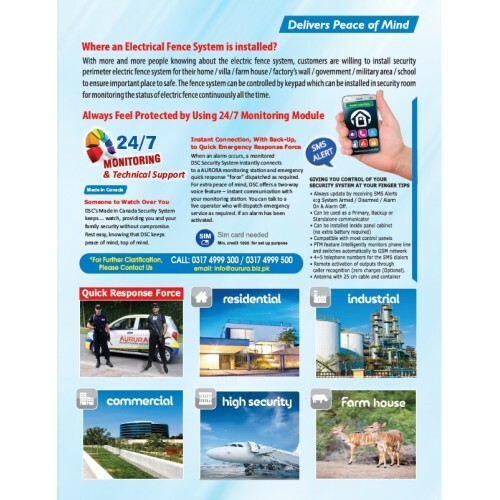 In case you need any further information regarding the quoted product / working / installation etc., please do not hesitate to contact us, we shall be more than pleased to be of assistance to you.